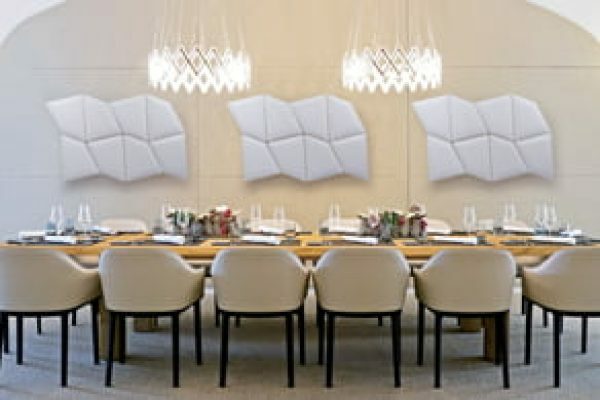 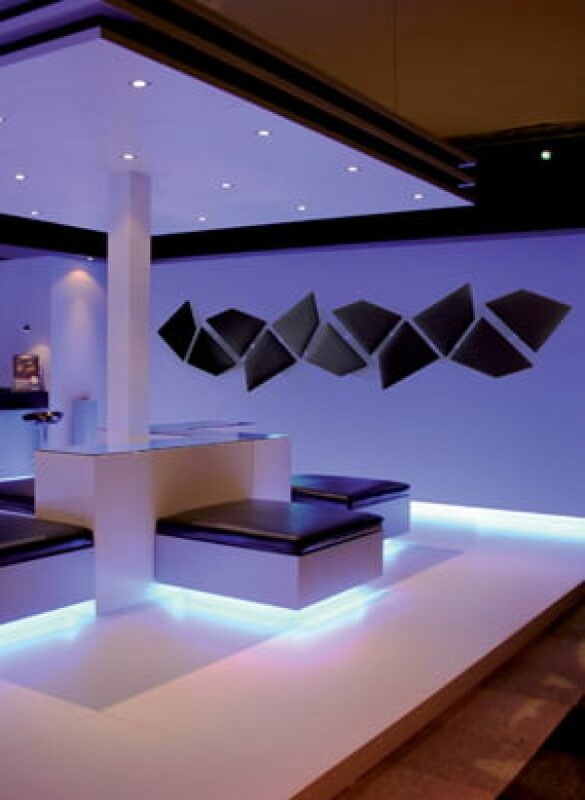 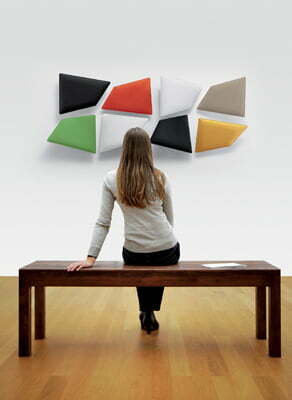 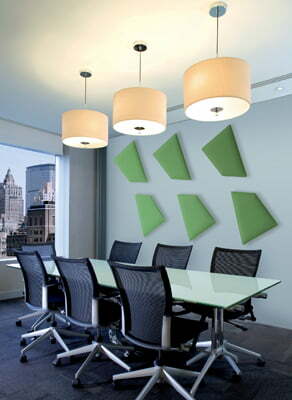 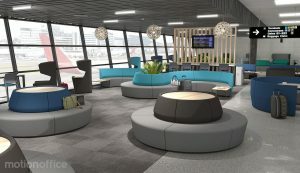 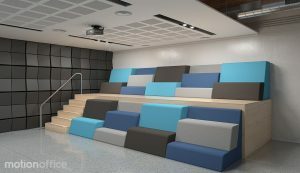 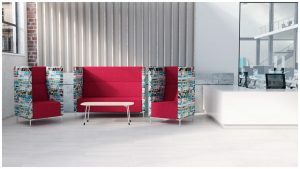 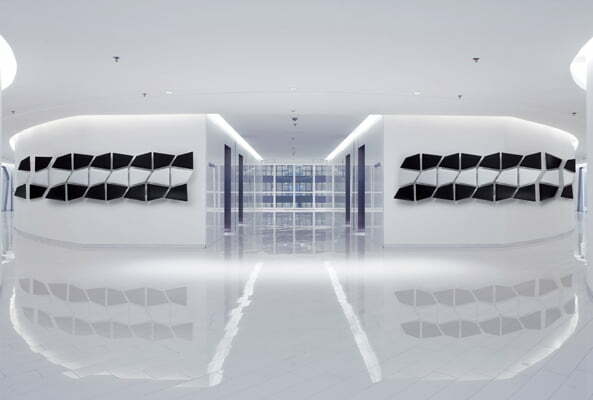 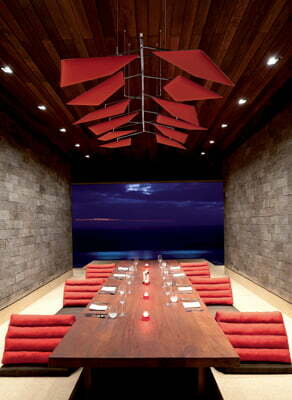 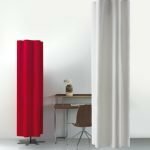 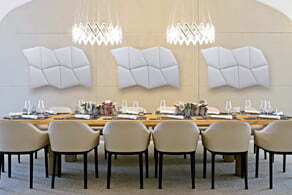 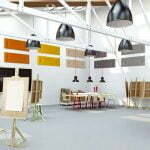 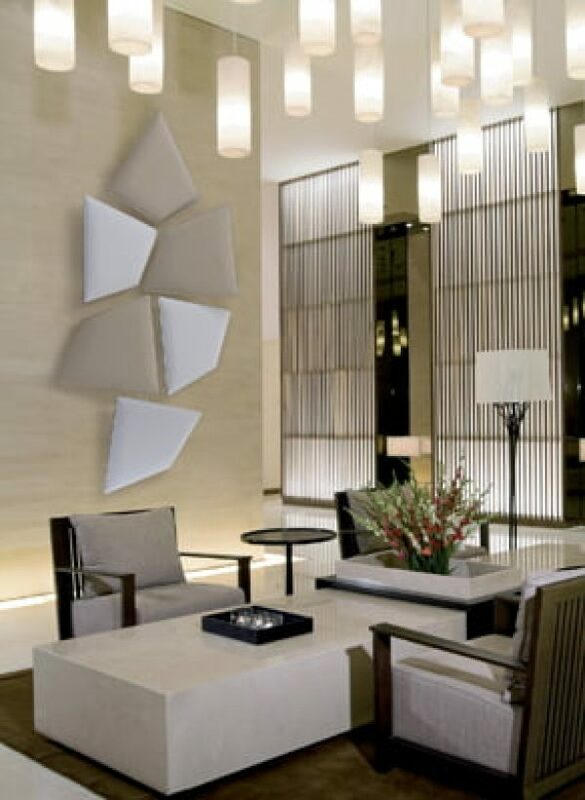 Our idea is an acoustic panel that need not be hidden or disguised. Taking advantage of two-sided panels, we instinctively thought of a variable and lightweight surface made up of several modules which can be located in the space according to the changing needs of our contemporary lifestyles. 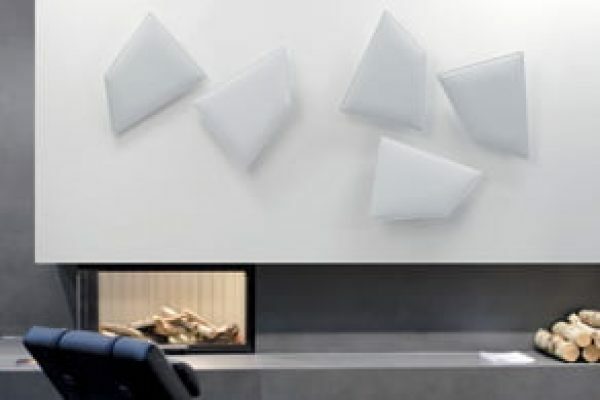 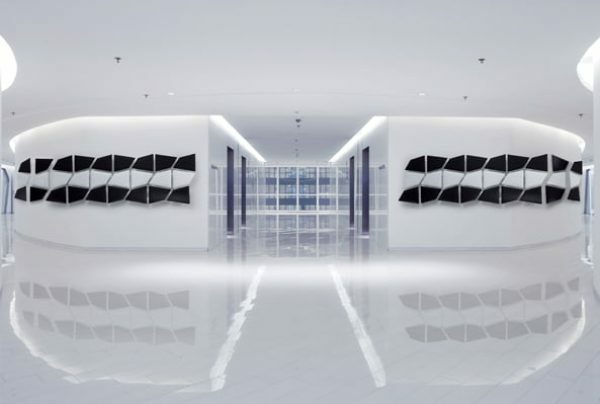 Not so much a partition wall but an aerial wall mounted or ceiling structure that affords the end user the utmost creative and expressive freedom.